I don't consider myself to be brand-loyal, especially when it comes to skincare products but very occasionally a catalogue drops through my door for cosmetics where I feel the urge to buy every single product in the entire range – the Liz Earle Naturally Active catalogue is one such range. Their products have a gentle mix of science and nature and are all so beautifully presented that I can barely resist. I have been trying out the Cleanse & Polish Hot Cloth Cleanser and have been wowed. I always use a face wash in the morning; its a skincare routine I've had for years and works for me. The Hot Cloth Cleanser is a kind of face wash – a thick sumptuous cream dispensed by a pump which you then wash off using the specially designed linen cloth. This cleansing wash is by far the most effective I have ever used. 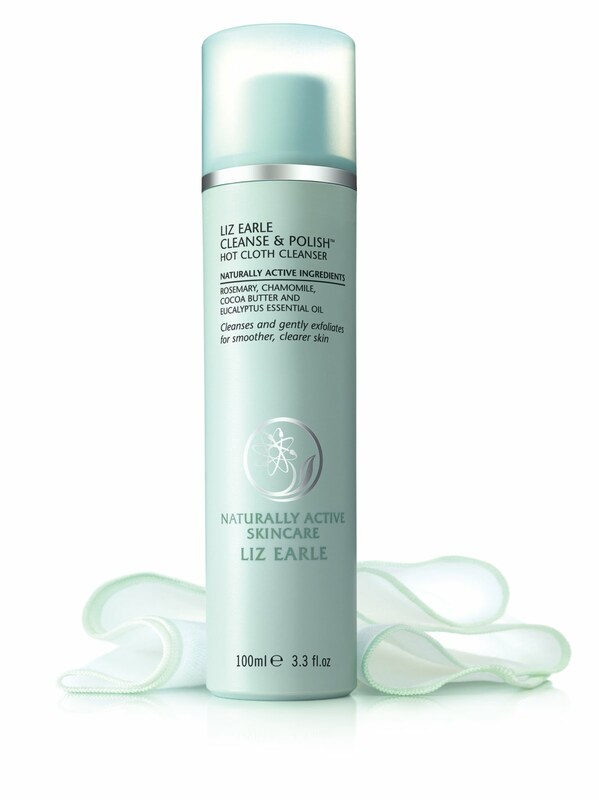 Liz Earle pride themselves on the simplicity of their products; each of them features three or four headline natural ingredients that are chosen for their specific natural actions. The Cleanse & Polish cleanser features rosemary, chamomile, cocoa butter and eucalyptus oil and it is these ingredients that contribute to the distinctive earthy aroma. The scent is quite savoury for a skincare product but I love it – it reminds me of autumn mornings. ...My skin, after using the Cleanse & Polish cleanser in this way, feels clean like it has never felt before. It really does feel like every molecule of dirt has been lifted from my face. I've even tried the cleanse and polish routine to remove tinted moisturiser and mascara and it was incredibly effective (mind you, I did have to put the cloth straight in the wash afterwards).